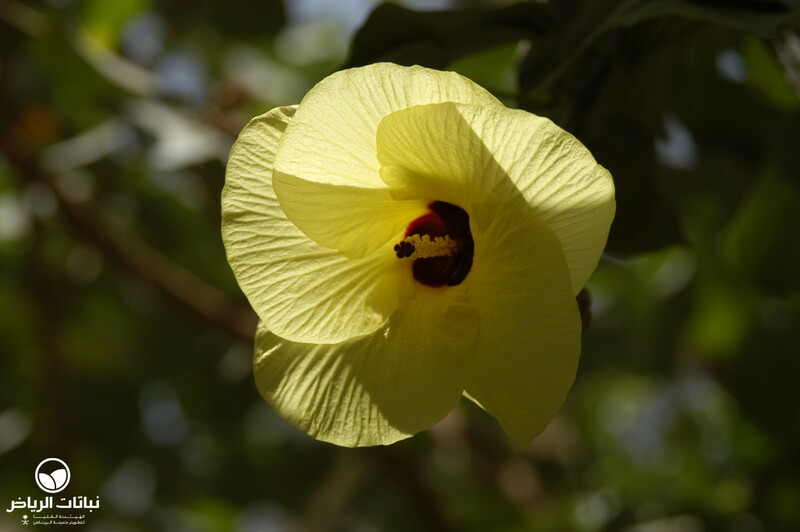 Commonly known as the Portia Tree or Seaside Mahoe, this is a small tree originating in southeast Asia and found throughout the tropics. 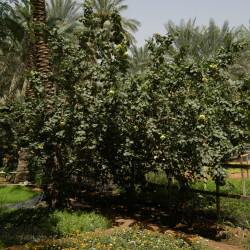 Since its introduction in Arriyadh a few years ago, it has been a successful tree. 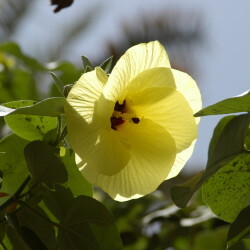 Growing rapidly, it reaches a height of up to 8 metres and a spread of 4 metres. 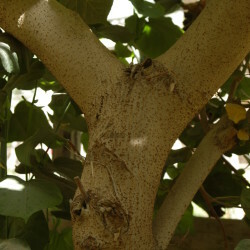 The bark is brown and corrugated, while the twigs scaly. 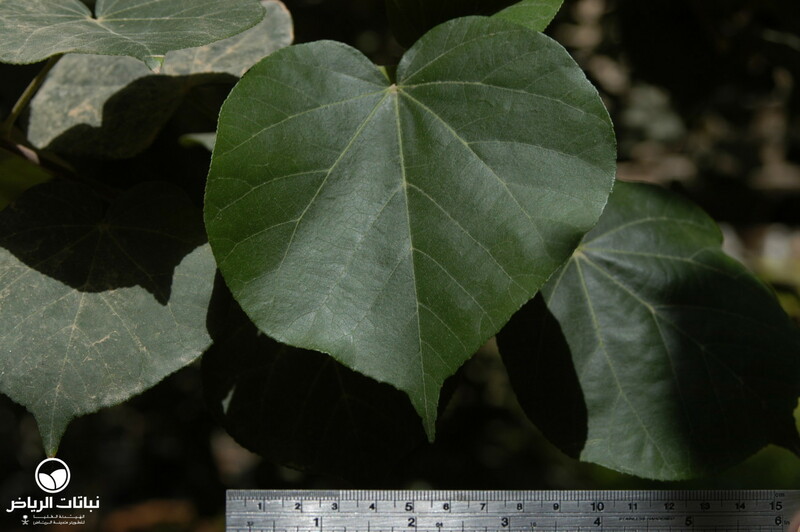 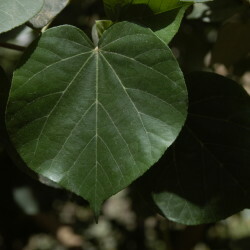 The shiny green leaves are heart-shaped, from 5 to 20 cm long. 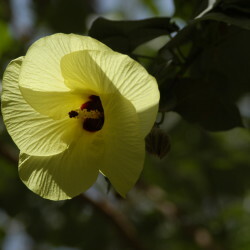 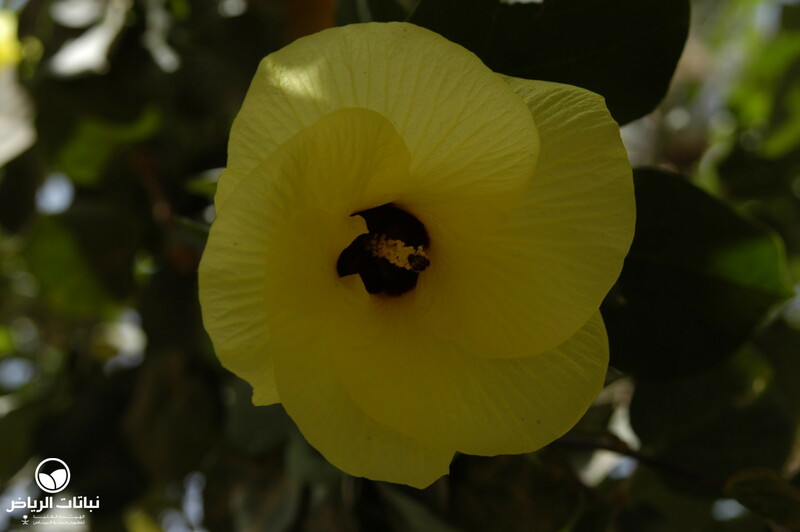 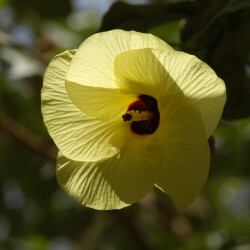 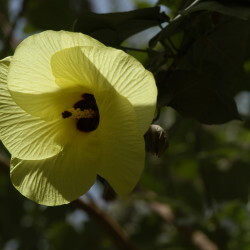 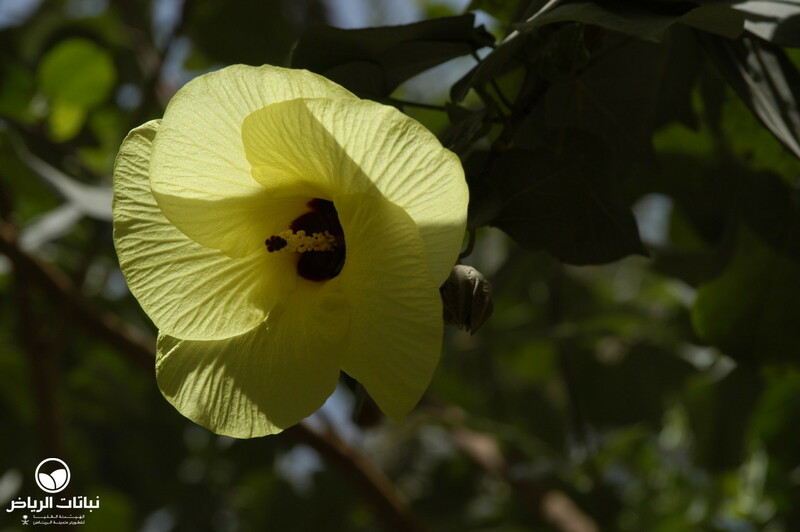 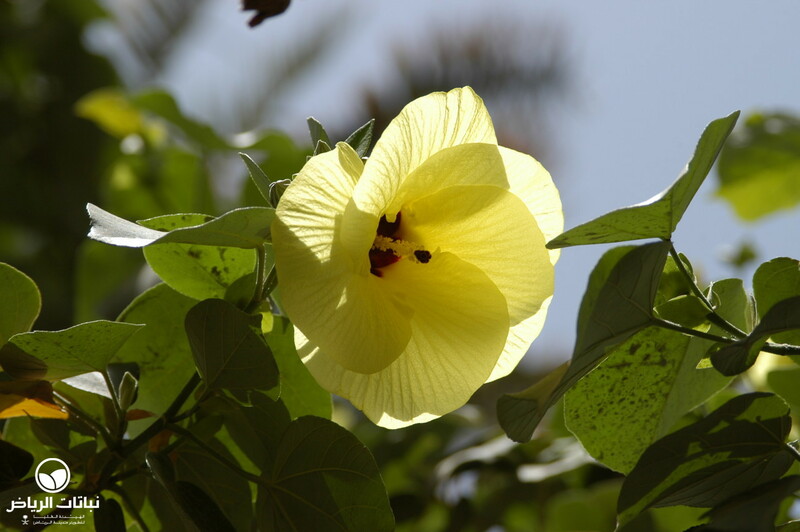 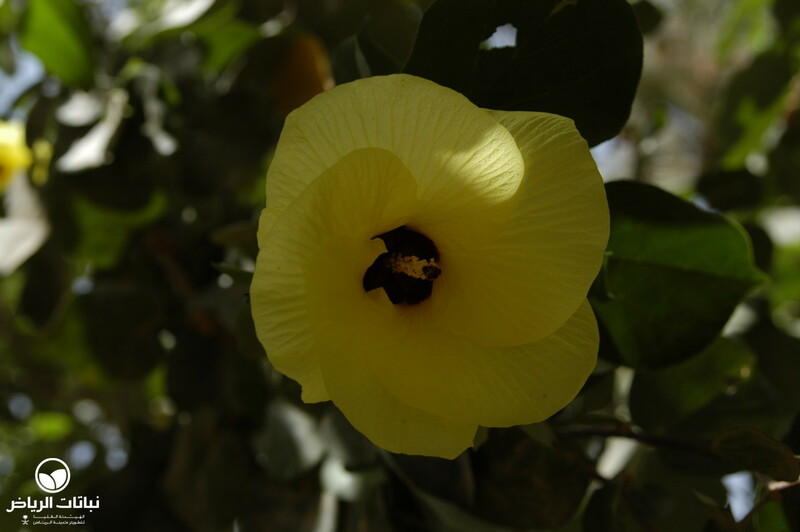 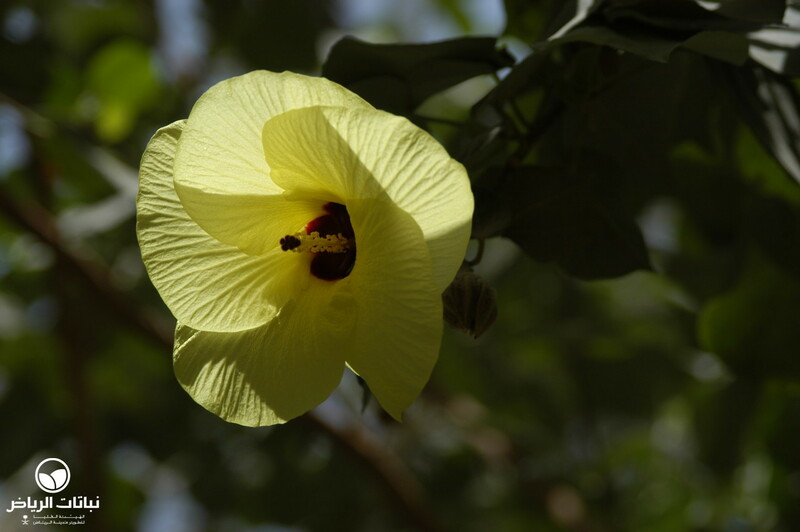 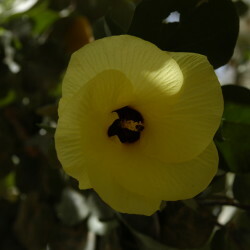 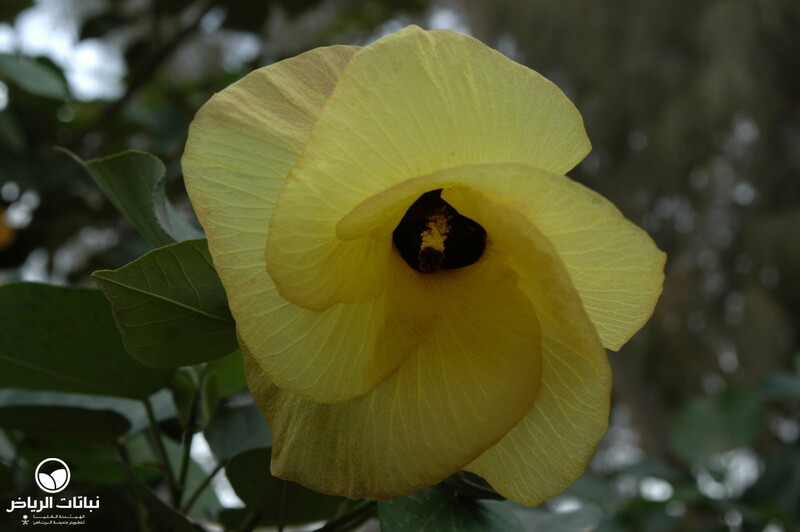 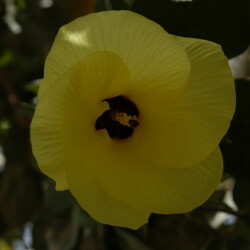 The cup-shaped, hibiscus-like, pale-yellow flowers are 5 to 8 cm in size, with a dark blotch at the base of the petals. 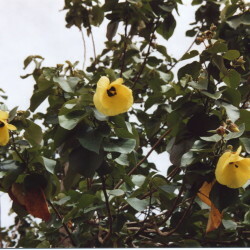 Produced throughout the year, they last for one to two days, before turning maroon and dropping. 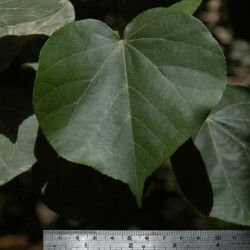 The fruit capsule is a flattened leathery ball with greyish-brown seeds. 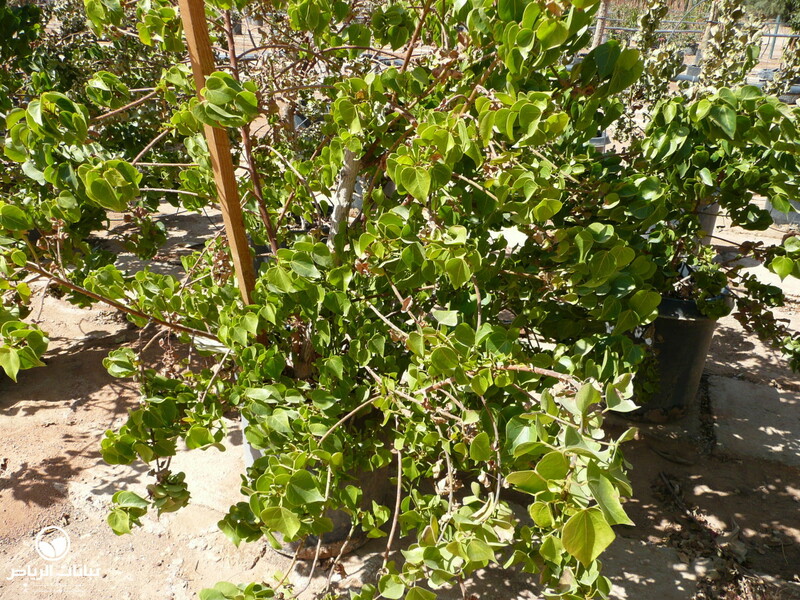 The Portia Tree grows in many soil types including those based on quartz, limestone, and basalt; it favours neutral soils and sandy coastal soils, tolerating saline conditions. 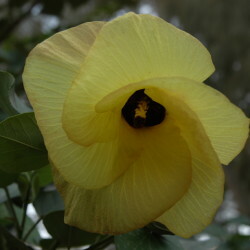 It requires full sun, is cold-sensitive, but withstands mild frosts and resists wind. 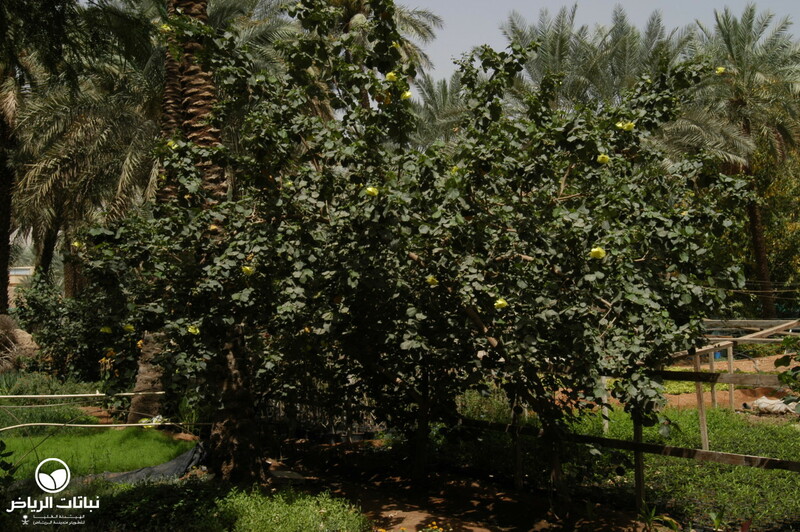 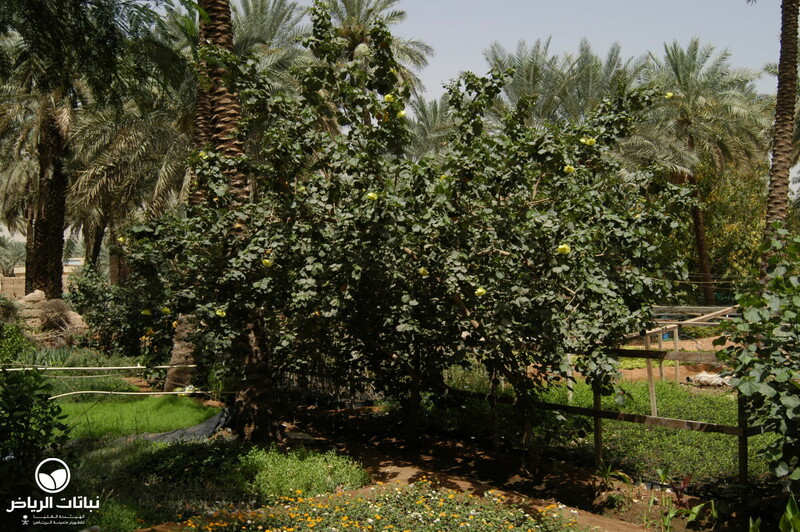 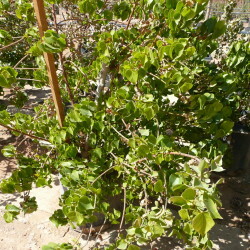 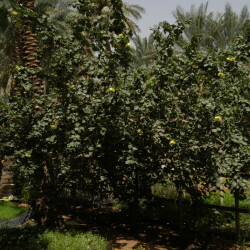 T. populnea is drought-tolerant, but requires regular irrigation in summer in Arriyadh. 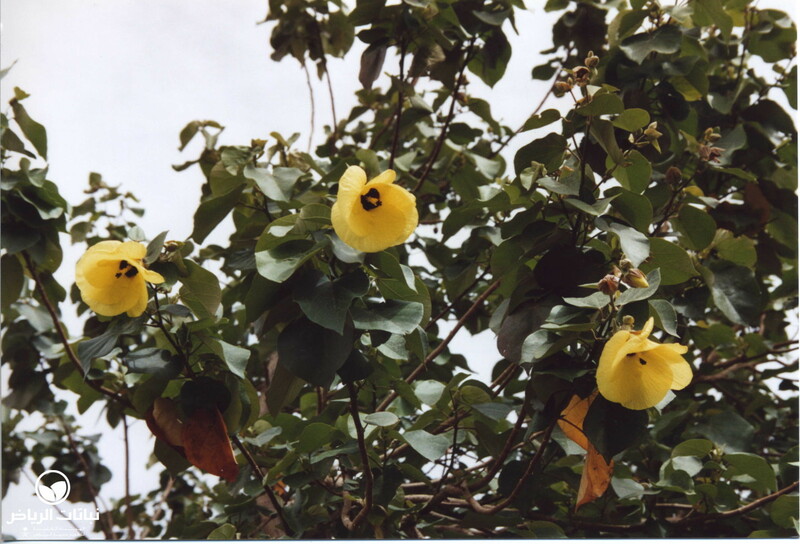 It is easily propagated from scarified seed and cuttings. 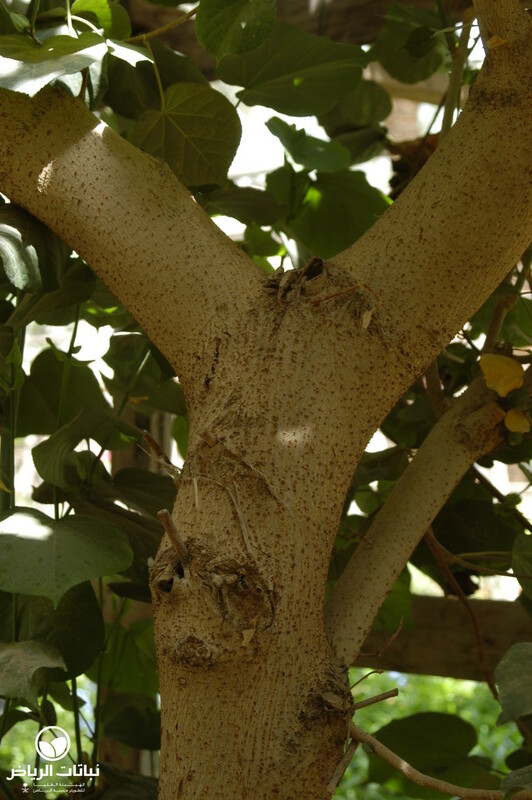 Pests are not generally observed. 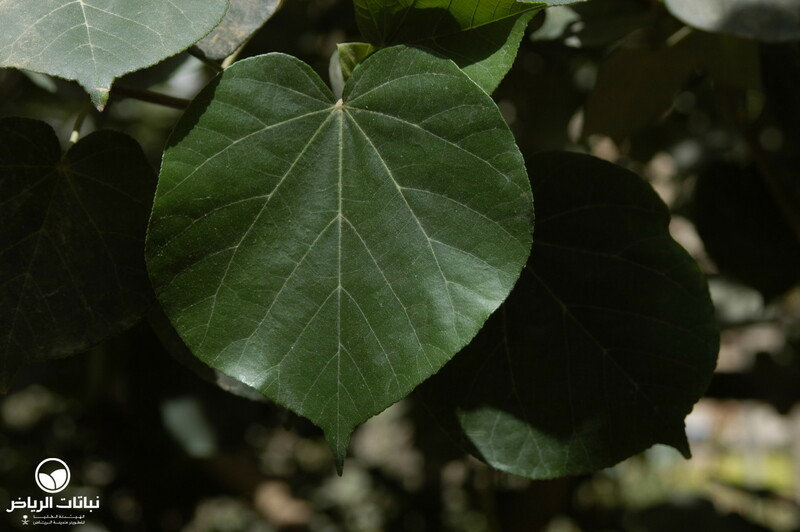 Used for medicinal purposes, this tree is much valued for its timber and for soil stabilisation and windbreaks. 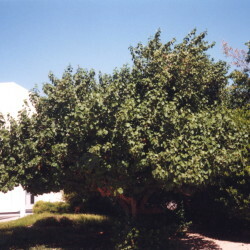 It makes a good, compact tree for gardens, patios and terraces, and can be planted in groups in parks or used as a shade tree for pathways. 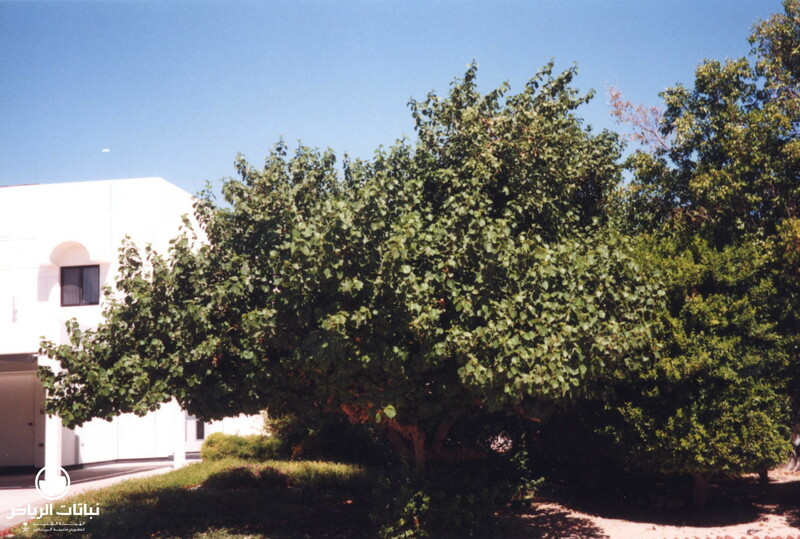 Easily kept in shape by pruning, only low maintenance is necessary.